Titan rail cutter/trimmer, blade magazine, A box of 100 blades, Owner's manual. 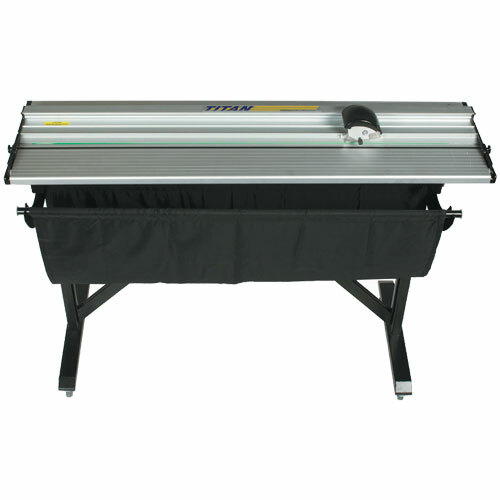 The Titan provides straight, square and accurate cutting of light, thick and flexible materials up to 1/2" thick. It makes a seemingly difficult job easy. 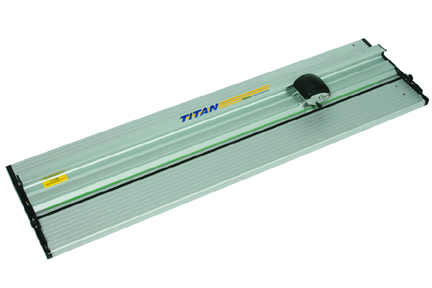 The Titan delivers performance solutions for straight, accurate cutting. There is no need for two separate cutters dedicated to each function. So, the Titan saves on space and equipment investment. Ergonomic power grip cutting head designed for right or left-handed push or pull cutting.